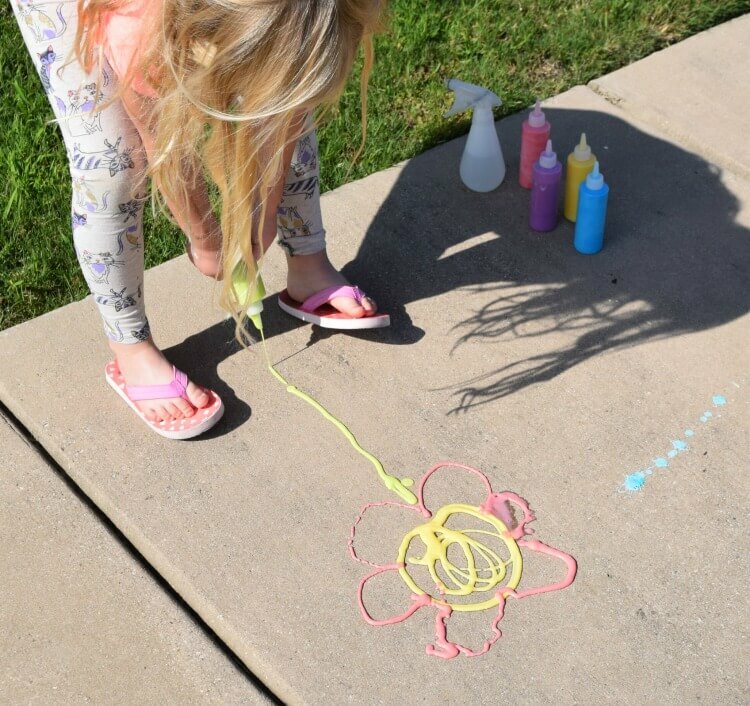 My kids love to get outside and play with chalk, paint, or some fun DIY that mom has made for them. 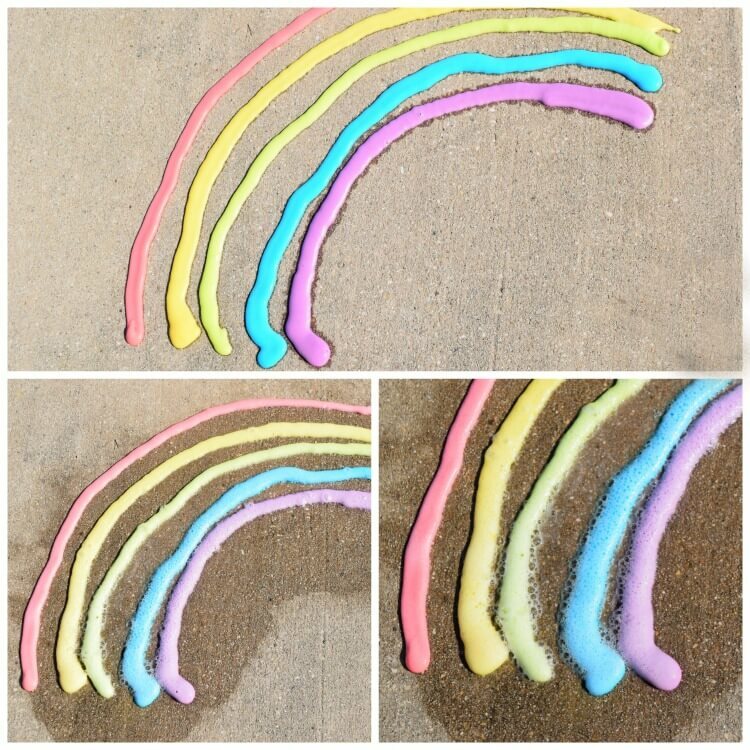 This week we whipped up some Sidewalk Fizzy Foam Paint. 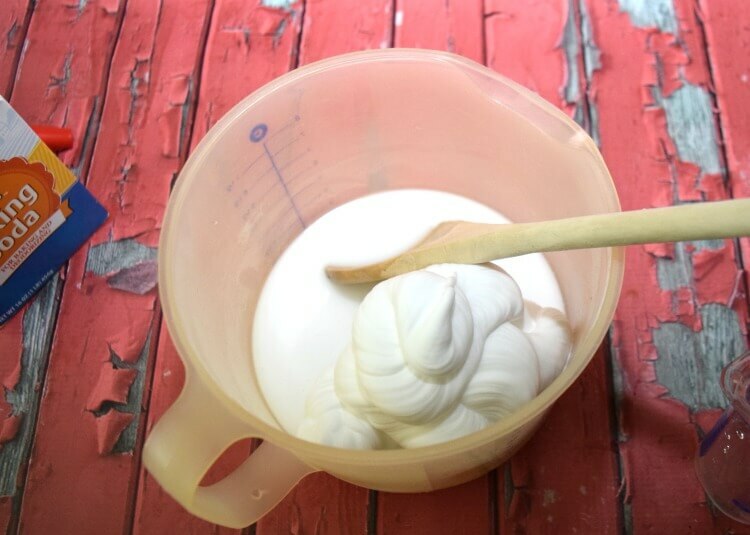 My kids love the magic of combining baking soda with vinegar. I thought what better way than with a foam paint made from baking soda and then spray with vinegar to watch the reaction? 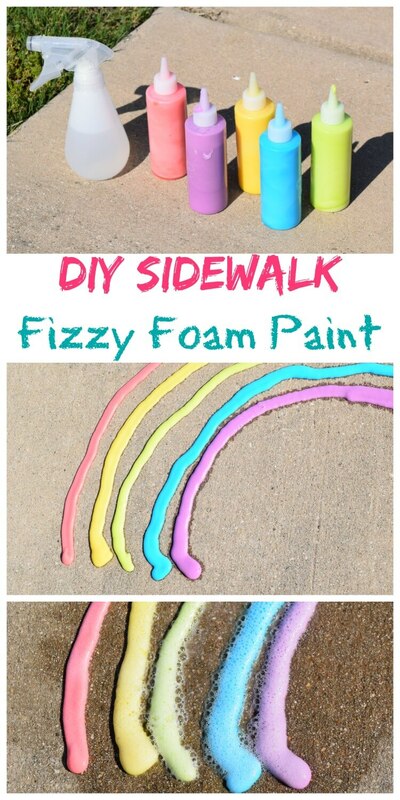 Last year I had a really popular post with DIY Sidewalk Foam Paint. I had some readers tell me it was hard to use and too thick. 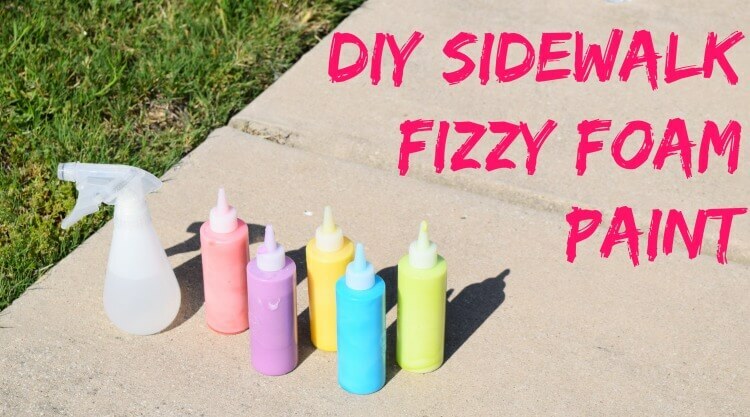 This year, our DIY Sidewalk Fizzy Foam Paint is so easy to make and so easy to use! It’s not very thick, and it’s easy to whip up. My kids spent the afternoon playing with this stuff and couldn’t wait to make more. It really is a lot of fun because after you make your creation, spray it with the vinegar and it fizzes up. Art and science mixed together! 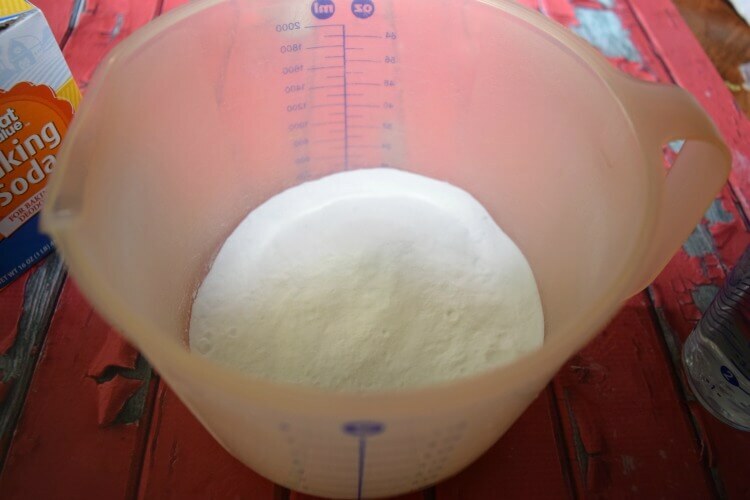 Mix together the baking soda and water. 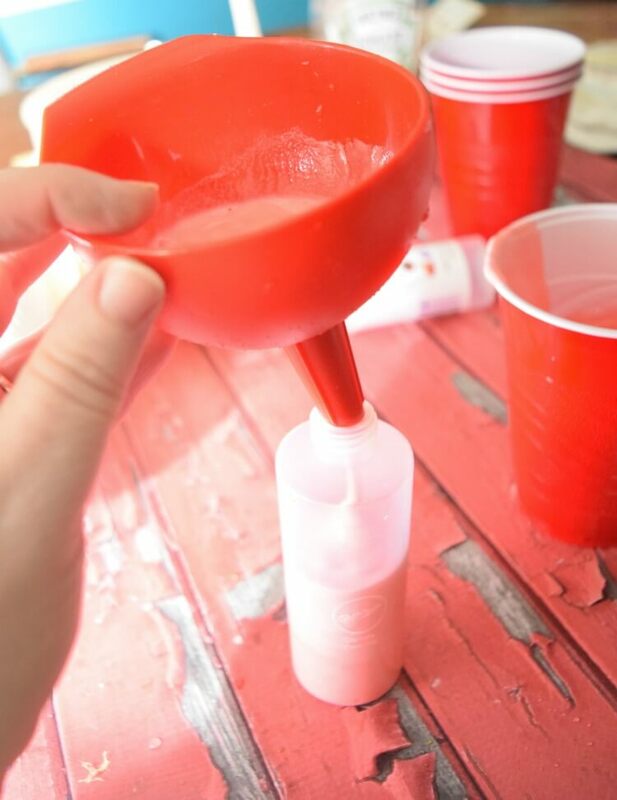 Divide the fizzy foam paint into five small cups or dishes (We used Solo cups). 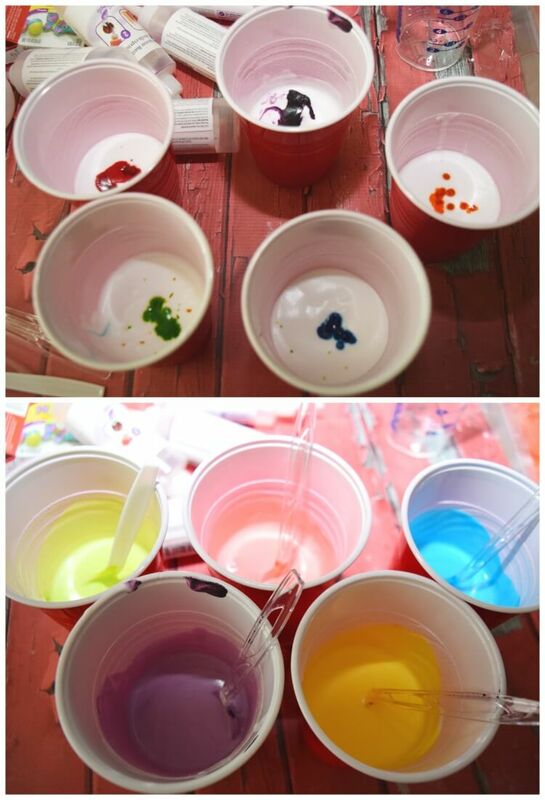 Add 7 drops of food coloring per cup (We used the neon food coloring drops). Using a funnel transfer the colored paint to each bottle. This will make about 5 bottles that are about 1/2 cup each. 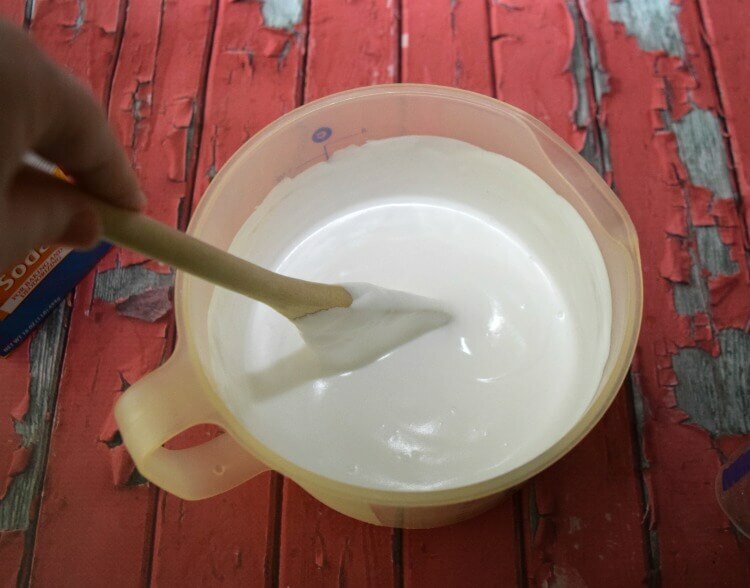 You want the fizzy foam paint pourable, so if it seems too thick, add a little bit of water to thin it out. Here’s a little video of what happens when you spray the vinegar. It foams up. The more vinegar you spray the more it foams. It also disappears with the squirt of a hose or a pitcher of water. 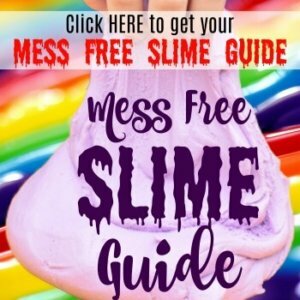 If you end up leaving it in about a day or so, we found that it just turns into a white powdery substance and will wash away with the hose or rain with no staining the driveway or sidewalk. 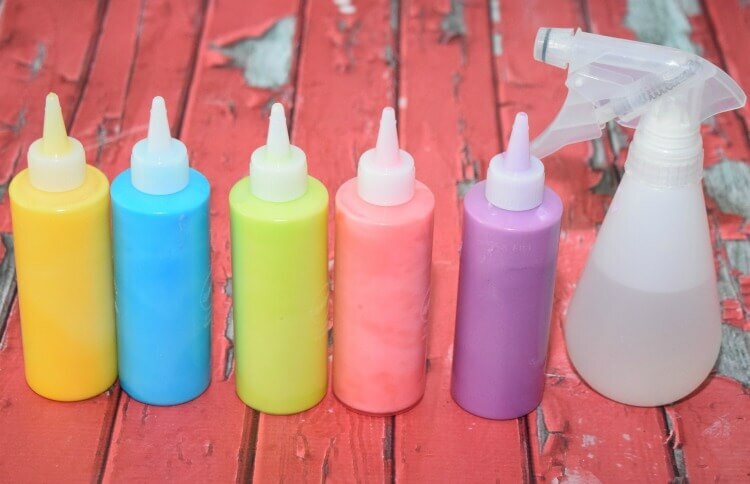 This is such a fun, cheap, and easy DIY to make that will keep the kids busy playing outside! Is this something you can make and use later or does it need to be used right away? As long as you have it closed up in the bottles, it should last a couple of days. last time I made it was in the morning and we played with it later in the evening. What size box of baking soda? The 1 lb box size.